Pearl Street has long been a center of activity in La Crosse, and La Crosse has long been a major beer town. 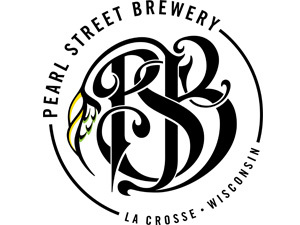 The Pearl Street Brewery combined the two to offer residents, visitors, and many UW-La Crosse students (21 and over) several craft beers in the heart of downtown “LAX”. Pearl Street Brewery opened up in 1999, the same year monster brewer G. Heileman shut its doors just to the south (today, it’s City Brewery.) While still serving beer on Pearl Street (and 3rd Street, famous for being packed with bars), the brewery and Tasting Room have moved north of downtown a bit to a 100-year old former Rubber Mills boot factory just east of Highway 35 that offers plenty of room for both brewing and tasting. The Tasting Room is open every day but Sunday and Monday, and you can take a tour (a “Brewery Tourery” as they call it) on Saturdays from noon to 5pm. Pearl Street’s Tasting Room is a few blocks off Highway 35, north of U.S. 14/61 and Highways 16 and 33 by a few miles. U.S. 53 is just to the west and I-90 crosses just two miles to the north.